And people wonder why improved geometry and wheels are needed on these old cars? Before getting some suspension software, I have some thoughts on what to start out with, and explore some of the options I have. I'll start by mocking up the expected ride- and tire height, to check the height difference between the inner and outer pivot points in the lower control arms (LCAs). I have already bought HOWE 1/2" extended lower balljoints (LBJs), and hope to avoid having the LCAs tilt down to the center of the car at normal ride height. I want the front crossmember ~4" above ground (roughly a 4" drop), combined with tires ~26" tall. This will give me a rough baseline for how the geometry works out. 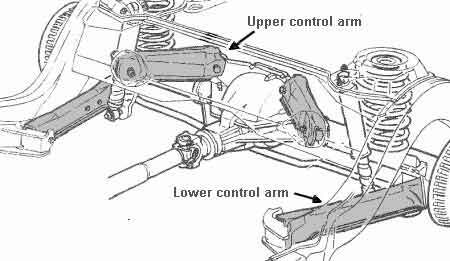 Possible options for getting the front RC height at ~2" above ground after the ride height is set, are tall upper balljoints (UBJs), and moving around the upper control arm (UCA) mounts, which stock are quite tall. I'm not too worried about meeting this RC height goal as I am with RC migration, correcting the camber curve or the bump-steer. The extended LBJs also help me meet my initial ride height goal, as they drop the chassis an equal amount and help flip the front view instant center (FVIC) to the inside of the wheel. Initial front view sving arm (FVSA) length at ~80", but I need to know what the shortest "safe" length at full bump is, and may adjust it some. RC migration will be observed, and I hope it can be made to be within acceptable values (atleast less than ~4" lateral). Lots of time will be spent playing with the numbers here. NOTE: This is nowhere near a project of designing a "perfect" suspension, I'm just trying to improve the stock crap within my capability and budget, without making the car any more unpredictable, or even downright dangerous to drive. I want as wide as possible front track width that will fit without flaring (mods to wheel lip and inner wheelwells are expected), while keeping the scrub radius as small as possible. This is a big task, and the shorter tires I'm planning on using won't help. I already have solid steel bushings for the UCAs, and the lightweight steel/nylon bushings for the LCAs to take care of the slop in the stock rubber bushings. 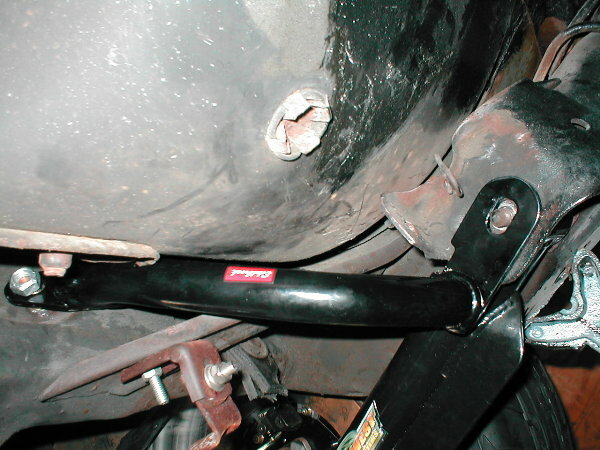 The steering arms on the spindles are too low in stock form, creating bump-steer (toe out on bump travel). 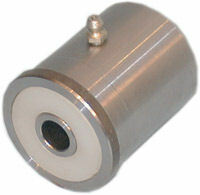 I hope the tall lower balljoints can help minimize this, together with ~5-7 degrees of positive caster. If necessary, I'm prepared to move around the steeringbox/idler some to lessen the bumpsteer. Perfect isn't the goal here, just general improvement of the overall package. I hope I can get as little toe-out as possible while not getting any toe-in, which should be avoided. 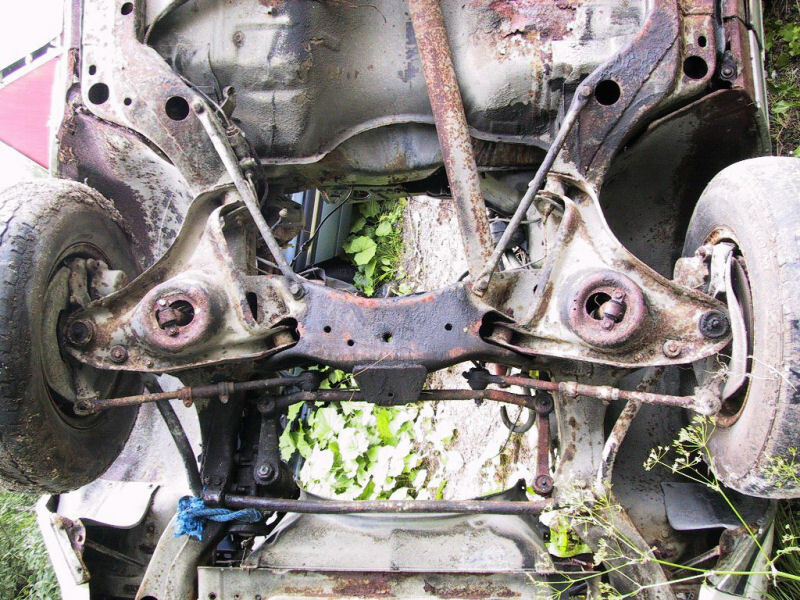 If moving the steering box and idler is required, I'll examine how far back I can push the centerlink and inner tierods before hitting the crossmember, or the tierods rub the centerlink. ~1/2" looks possible, and a chance to increase Ackermann is interesting. Removing the "hump"/horn at the front of the frame may be needed for this. More Ackermann may not be needed at all, but it should be considered. 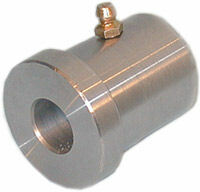 A quick-ratio steering box is also badly needed, and a box from an '80's F-body fits my budget. There may be a need to tweak the internal steering stops, due to the long steering arms on the spindles. The third picture shows the braces the rear LCA mounts got on the newer cars, I'll try and fabricate something similar on my frame, only stronger. I'm also considering to tie the front framerails together, distributing the load the steeringbox applies to the driverside rail, as well as downbars from the cowl area of the firewall to the front framerails. After reading about a bolt-in 3-link solution on the Pro-Touring.com forum, this approach got me interested. 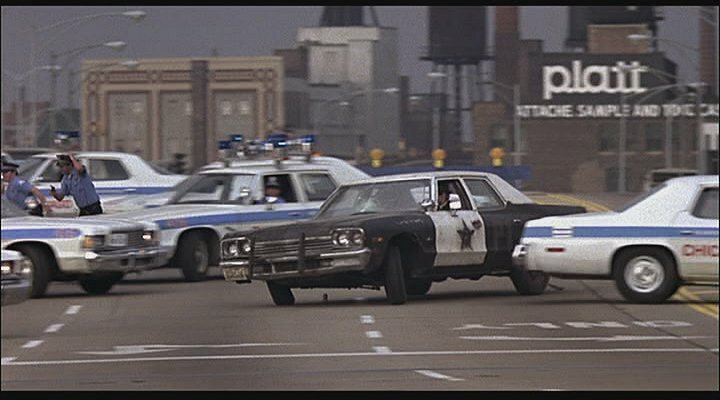 The particular vehicle was a 1st gen A-body, but those cars have the same basic rear suspension layout as the '73-96 B-body. My reasoning behind keeping a similar short UCA length, is that it's a requirement for me that it bolts-in, and it can actually be made longer in side view than the angled stockers are. It's not the ideal length, but still it's an improvement from stock. The axle mount will be fastened to the stock upper ears and half of the rear cover bolts (replaced with stronger studs), and have 2-3 locating positions for altering the side view instant center (SVIC) and side view sving arm (SVSA). 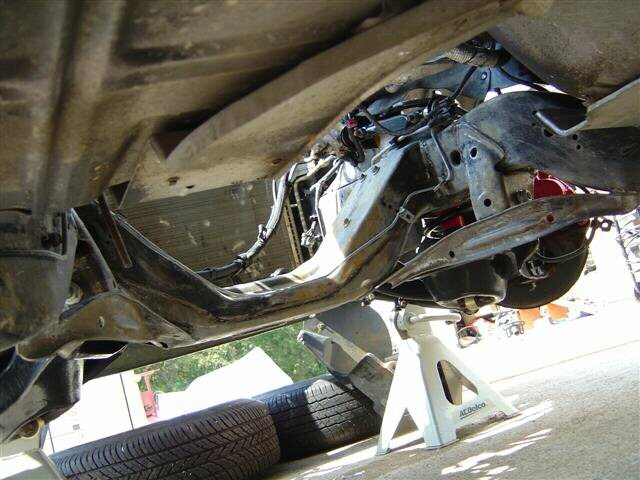 Making space for suspension travel with the centered upper link may require raising the trunk floor. 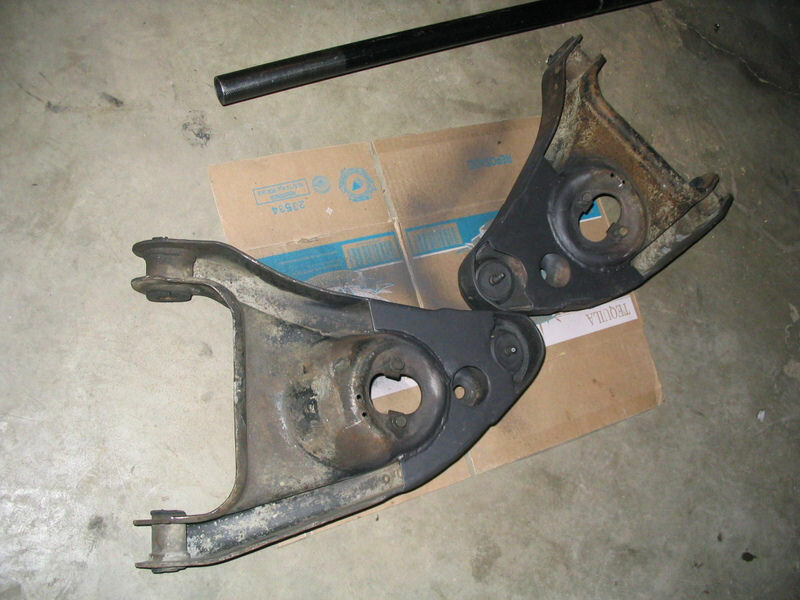 As for the frame side bolt in bracket, a possible solution is a ~3/16" steel plate running from side to side between the stock upper mounts, fastened both with the stock UCA bolts with some spacers to simulate bushings, and a ~3/16" steel plate on the other side of the frame - the steel plates bolted together, "sandwiching" the frame. 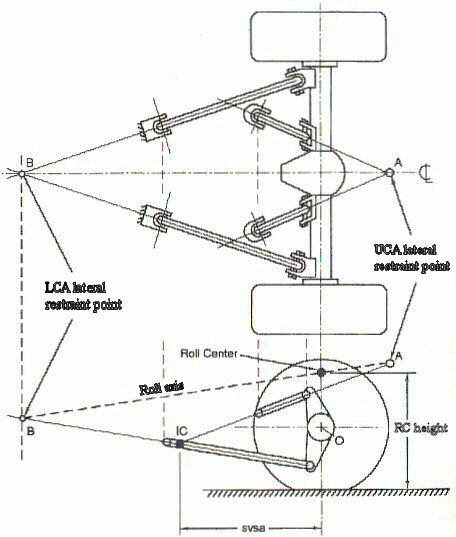 This is to spread the now centered load, and to help this further I'd make some braces to tie the LCA and UCA mounts together similar to Hotchkis' "Trailing arm braces", spreading the load. 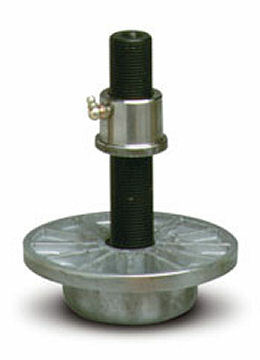 Lateral control of the rear axle would be an as long as possible, length adjustable, centered, and horizontal panhard bar with height adjustable mounts. A good start is to replace the stock LCAs with rod ends and tubing, and leave the stock UCAs and rubber bushings to help fight the bind before a 3-link can be made. I'll have to do a lot of measuring/calculating/asking people before determining the front/rear spring rates to go with as with everything else, currently estimating ~900/~250 lbs/in depending on several factors. I want a firm ride, driver comfort is not on the priority list right now. For a start the stock thin swaybar at the front will be used, then try out other front/rear bar/no rear bar combinations later. 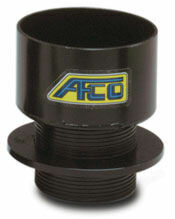 For the rear bar, a solution along the lines of the stock 3rd gen F-body rear bar, not mounted to the LCAs, may be used. Something adjustable would also be a great bonus. The C4L is another problem, as the built-in bind during travel and roll affects both the rear spring rate and roll stiffness, I'll have to think about that one for a while (as in: dream about 3-link). The fact that the bind is non-linear adds to the wish for removing the C4L bind. Another problem is lowering the rear RC, needing more spring stiffness and roll resistance, again affecting the rear springs/bars. 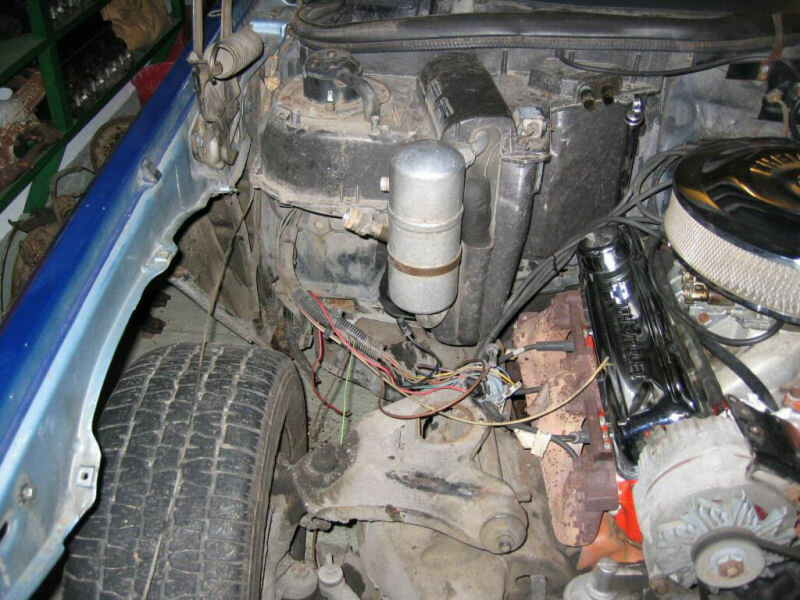 Street-stock springs combined with adjustable spring shims will be used in the front. In the rear, I have the option of "adjusting" the rear spring mounts to make the rear ride/frame height match the front (the rear has double pigtail springs), or the solution I really want - to use single pigtail springs and weight jacks accessible through the trunk.